Join us pool-side at the Surfjack Hotel & Swimclub for a tropical floral crown workshop with complimentary rosé! At this festive Friday class, we'll help you construct a beautiful crown from local and temperate flowers. Create something small and sweet, or a massive colorful headpiece- its up to you! Walk out of this class with your floral crown and the skills to craft future headpieces with the plant materials available to you. 50% off valet is also provided ($5)! Note: Our minimum to hold a workshop is 5 guests. If the minimum is not met, we will notify you one day prior and refund the workshop fee. Mahalo for your understanding! 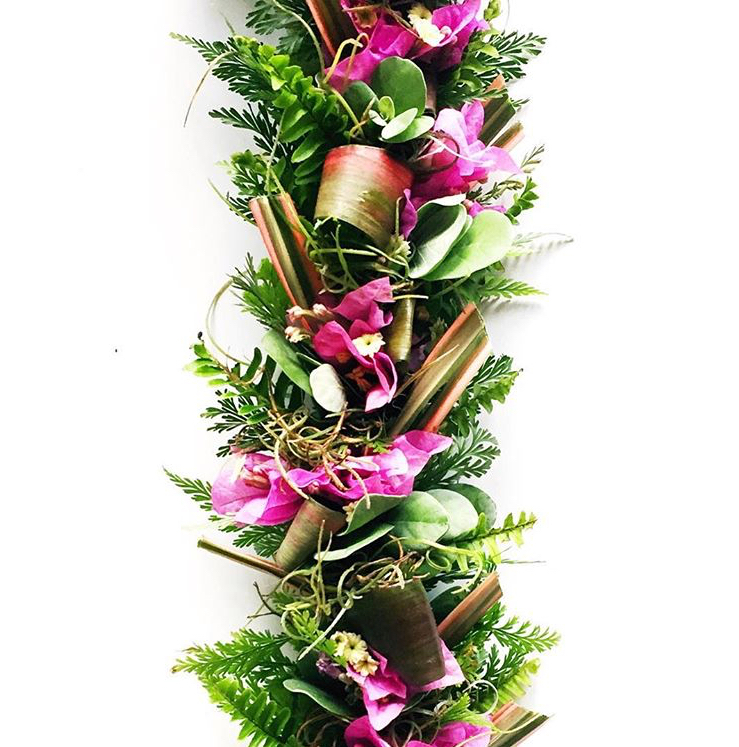 Join Paiko and Mei Day founder Tamara Rigney, to create colorful, fun keiki size flower arrangements. Using some local plant materials from the shop, and some from the backyard, Tamara will teach the kids about gathering local flowers and leaves, then guide everyone in creating their own arrangement. Please bring your own ‘vase’ between 5” to 9” tall, repurposed glass jars or bottles are great! About the class: Design and create your own unique woven wall hanging with Fiber Artist Trudy Perry. This is a fun + creative workshop where you will play with color, texture and basic weaving on a hand crafted loom. Complete your own unique woven wall hanging ready to gift or hang in your home. All instruction and supplies are included in this workshop. Show up ready to let go and create! All are welcome from fiber newbies to crafty pros. The class is 2.5 hours so please feel free to bring snacks or food for yourself. Bio: Fiber artist Trudy Perry creates custom wall hangings and facilitates private and studio workshops on Oahu, Hawaii and California. With a background in design, she has found her passion creating fiber art on her hand-crafted looms and sharing that passion with others. We welcome back Dee Oliva to teach a workshop favorite, terra cotta pinch pots! In this workshop you will be working in terra cotta clay to construct your creation. Ceramic tools will be provided to embellish or decorate your planters (feel free to bring in stamps or any impression making tools to the workshop). Dee Olivia is a local artist who enjoys creating functional ceramic pieces, often taking a philosophy of seeing clay as a a canvas. Her work is inspired by animals, nature and the clay itself. In 2011, she graduated from the University of Hawai'i at Manoa with a BFA in Ceramics. She continues to hand build and paint each piece combining her love of plants and clay to create unique, one-of-a-kind pieces. Join us for a get together in the spirit of sharing. This event is open to all plant enthusiasts and those that are just starting to learn. Bring cuttings from your house plants to swap with new friends while enjoying a beverage and light pupus. The price includes a Speedy Jane cutting starter dish so you can continue to grow. Paiko will provide some cuttings for those who didn't root theirs in time so no one will leave empty handed! We will also be sharing some plant demos and houseplant info throughout the event. ***Vase in photo not included! Want a green thumb? You've come to the right class! Learn to identify the plants best suited to your home, guaranteeing the success of your indoor jungle goals. We'll cover basic house plant care and botany with a focus of what grown best in Hawaii, also transplanting, propagation, common plant problems, and plants most beneficial to air quality. At the end of class, use your new knowledge to transplant a shade plant into a terra cotta pot to take home. Paiko will be open between 9a to 7p on February 13th and February 14th for Valentine’s Day. In this weaving class we will go over the basics of gathering, processing and weaving Pandanus tectorius leaves or Lauhala from the Pūhala tree. We will explore the practice of leaf to hand by starting with raw materials, cleaning and stripping of fibers to create a Lauhala bracelet in the traditional makamoena form. You will make one wide bangle and learn skills to expand and build upon. This class is taught by mother and daughter duo Shadi and Michele Zane-Faridi who have been weaving side by side for over 15 years, enjoying the practice of Ulana Lauhala in every form ranging from trivet to hat. They are joining us from Hilo on the Big Island where they have a shop called Hana Hou Vintage and Cultivar Goods. Feel free to bring something to eat and drink during class since this is an extended 3 hour workshop. Paiko will be CLOSED for New Year’s Day. Paiko will be CLOSED for Christmas. This class will be led by Koi & Kai - our fab modern lei maker! Come ready to get festive and in the gift giving spirit. Choose a combination of the items named above to equal the $60 registration fee. Use tropicals, holiday foliage and flowers in unexpected ways to adorn your home and table for the holidays and everyday. Learn inventive ways to bring the outdoors inside, beyond the traditional flower arrangement or house plant. We'll cover the skills needed to create table swags, garlands, place settings and anything else you can imagine. Leave with a project or two that's truly unique! 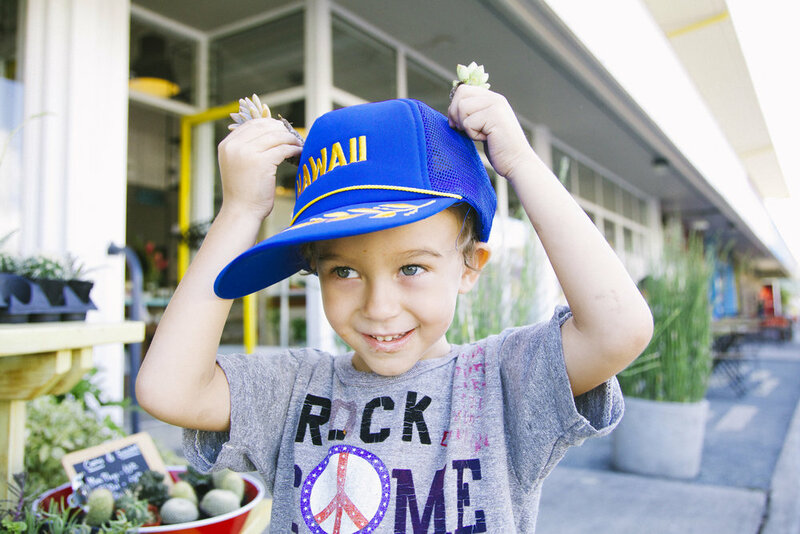 Join us on the lanai at the newest Merrimans restaurant in Kaka'ako for a relaxed afternoon floral crown workshop. You will create a crown using local and temperate flowers. Make something small and sweet or a massive colorful headpiece-its up to you! Leave class with your floral crown and the skills to craft future floral creations with the plant materials available to you. A glass of wine is included and all of their happy hour offerings will be honored for participants. Paiko will be CLOSED for Thanksgiving. Lip oils provide a pop of color, glistening sheen & nourishing hydration to your pout, all while being infinitely healthier than conventional lip glosses. This workshop will explore the art of infusion as we work with botanical pigments & aromatics in creating luscious oils to adorn your lips. Choose from a range of cold pressed carriers infused with natural colorants and delicious herbs plus organic essential oils to craft two 1/3 oz roll-on glass vials of your own unique blends. Just in time to brighten up your look for holiday gatherings and make one for a friend! Haku lei are a way of life for local designer and expert lei maker Meleana Estes. A love passed down from her tutu, the art of haku runs through Mele's blood. Join us for a special evening where she passes on this beautiful tradition, teaching us from a overflowing collection of local and temperate flowers and foliages. This workshop we will be held at Shirokiya in Ala Moana and is no cost to participate. Space is limited. Create your own magical succulent garden at this fun evening class. We'll teach you all about cacti and succulents, then help you design and plant your own garden in one of our terra cotta planters. We always have a good variety to choose from. After you're done planting have fun decorating your garden at our toppings bar! All materials will be provided, but additional pots and plants may be purchased during the class.